Installing solar panels can help you drastically cut your energy costs and they eventually pay for themselves.If you are considering adding solar panels as part of your green home remodel, first consider these basic solar power facts. The term "solar energy" means to harness the energy of the sun to power your home, i.e. to create electricity and to heat water. Solar cells were "discovered" in 1876 by William Adams. Like wind power and hydropower, solar power is considered a renewable energy resource. Solar energy can not only be used to heat your home, but also to heat swimming pools and power outdoor lighting and RVs. Photovoltaic panels, also called PVs, are the technology required to convert solar energy to electricity. Their efficiency is around 15 percent. If that seems low, consider that plants are only 3 percent efficient at converting the sun's energy. A solar power system may stand alone or connect to the grid. The concept of "net metering" allows you to sell the power your solar system generates back to the utility company. Instead of owing a bill, the electric company pays you! Like electricity, solar energy is measured in kilowatt-hours. Battery power makes it possible for you to use stored solar energy, even at night. Passive solar design strategies are less expensive than panels: orient your windows to capture sunlight and warm a space while reducing your heating bill. 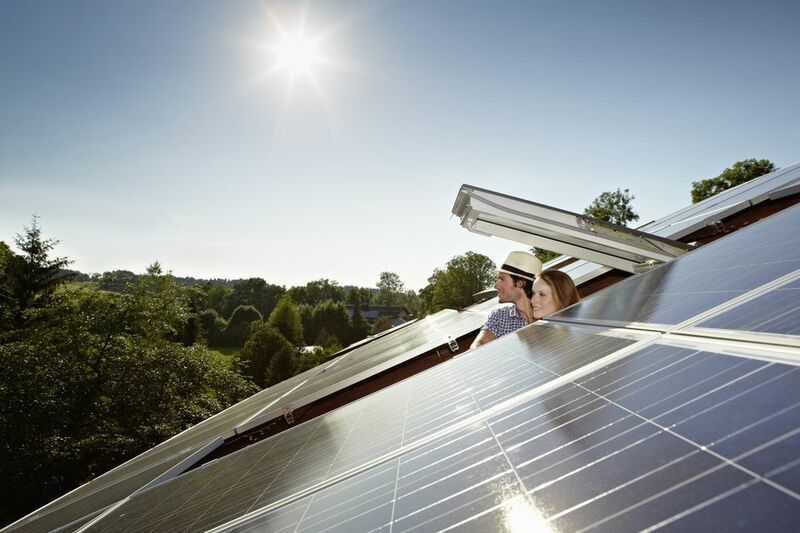 Federal and state tax credits are available for those who choose to install solar energy systems in their homes. Panels may be mounted on your roof or on a pole in your yard. Solar power systems are undeniably expensive, but as you can see, they offer many benefits over the long term. Armed with these solar power facts, you can get an idea of whether panels are a good choice for your home.